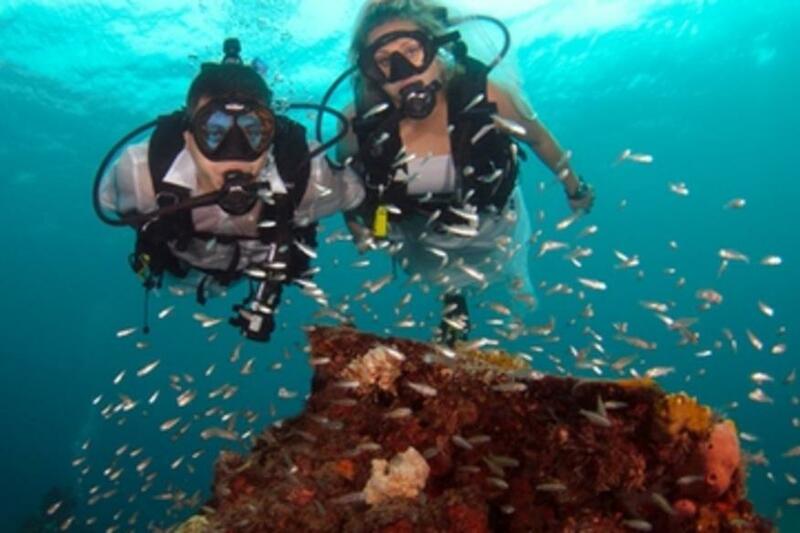 Your underwater wedding can be customized anyway in which will make your day special! Packages can include, but are not limited to: cake with wedding cake knife (cake is decorated with corals, bubbles and shells), champagne, decorated acrylic champagne flutes, wedding paper plates, utensils and napkins. An underwater bouquet and boutonniere for also provided to the bride and groom. The mermaid bride also receives a tiara & veil for her special day. 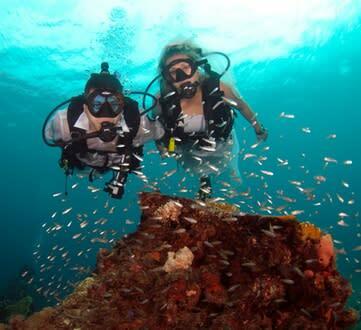 Film and photography is also courtesy of our very own Dixie Divers photographer and videographer!